Dr Kunal Shah qualified from the University of Birmingham in 2011. He has since worked in General Dental Practice in London and Essex and has strived to provide excellence in his dentistry. Dr Kunal Shah completed his education on the advanced aspects of surgical dental implant placement and restoration alongside bone grafting, in Cambridge, with Specialist Prosthodontists who are lecturers and examiners at The Eastman Dental Institute. He is now pursuing a Diploma at the Royal College of Surgeons in Edinburgh. With a special interest in orthodontics and implantology, he is a provider of Invisalign and has published several articles in the professional circular for Implant Cases and Mentoring. Furthermore, Dr Kunal Shah is a Clinical Mentor for students on the Postgraduate Implant Course at LeoDental. Dr Kunal Shah is committed to continuing education and has completed a Postgraduate Certificate in Education (PGCE). Currently he is a Clinical Educator for Therapists on clinical placement from the University of Essex and is an accredited Clinical Trainer for Foundation Dentists in their Vocational Training year at LeoDental. 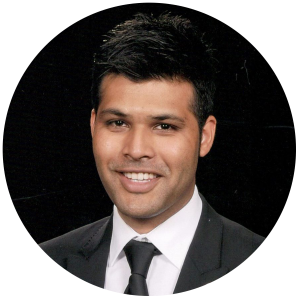 With his firm focus on providing the optimum level of dentistry, Dr Kunal Shah was selected as a Finalist for the category of ‘Best Young Dentist’ in the UK 2014 at The Dentistry Awards, and a Finalist for the ‘Patients Choice Award’ in the UK 2016 at the Aesthetic Dental Awards in London.